Jonathan Quick was solid in his return. 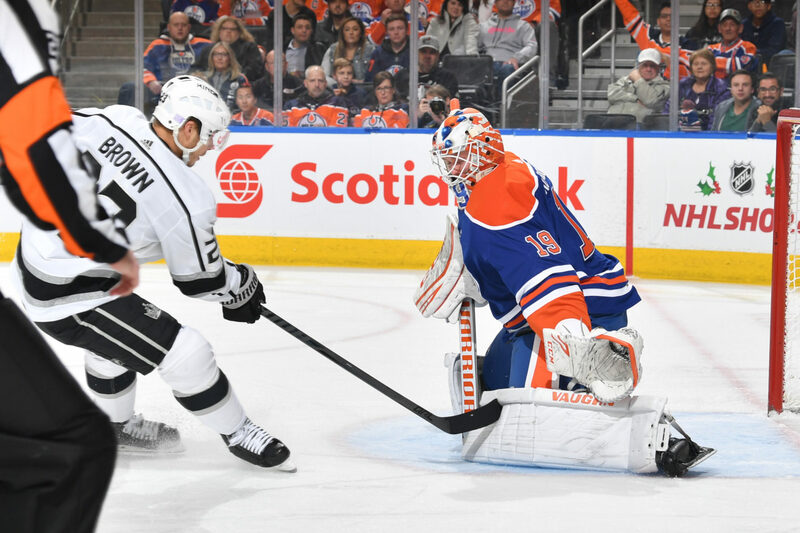 He was beaten a minute and 21 seconds in when Drake Caggiula gained the corner against Alec Martinez and put a puck towards the crease that Quick attempted to cover at the same moment an unmarked Jesse Puljujarvi drove the net and shoveled it off the inside of the post and just past the goal line. That’s more on coverage and one-on-one defending than it is on the goaltender. 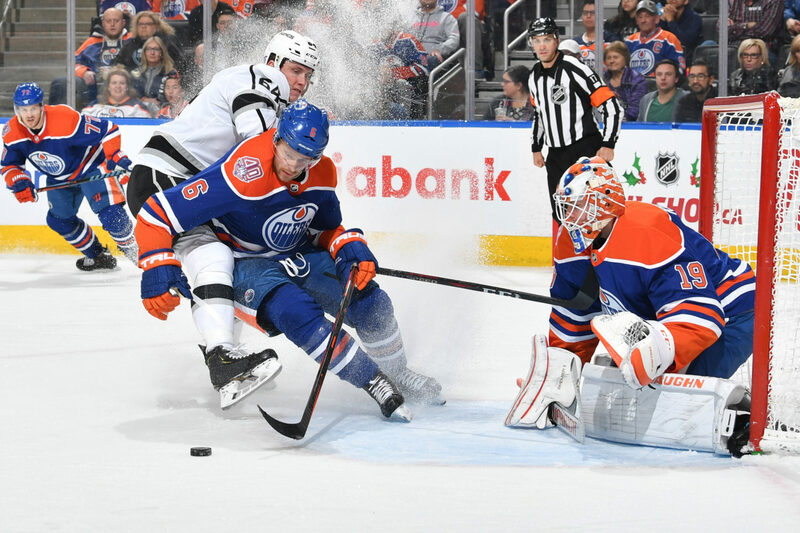 Eight minutes later, Edmonton won a faceoff and adhered to a textbook-like power play set-up that was executed as it’s often drawn up in practice, finished off when Alex Chiasson, who now has three goals in two games against Los Angeles, found space against Jake Muzzin and backhanded home a rebound that Quick couldn’t do much with. 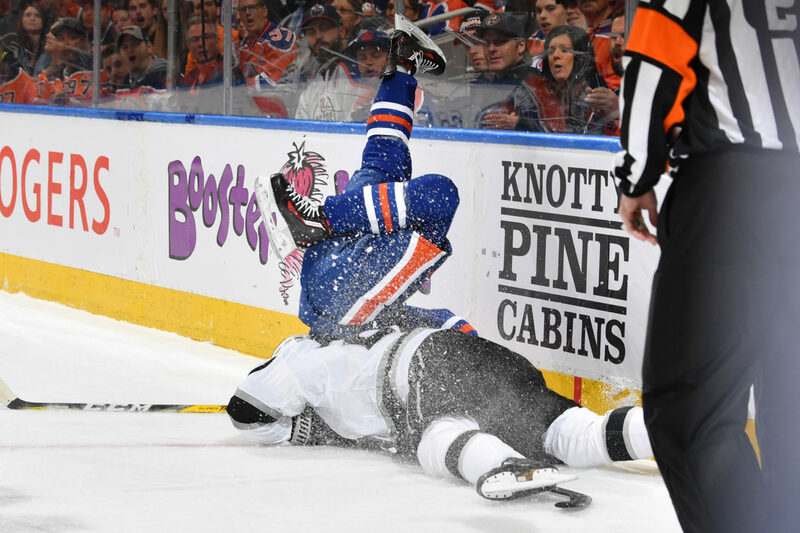 Three minutes after that, Jujhar Khaira made a power move down the left wing and deftly pulled the puck around Quick’s pokecheck attempt before he was denied by an outstretched left pad that served as both the best save of the night and a springboard for the Kings to find their game. 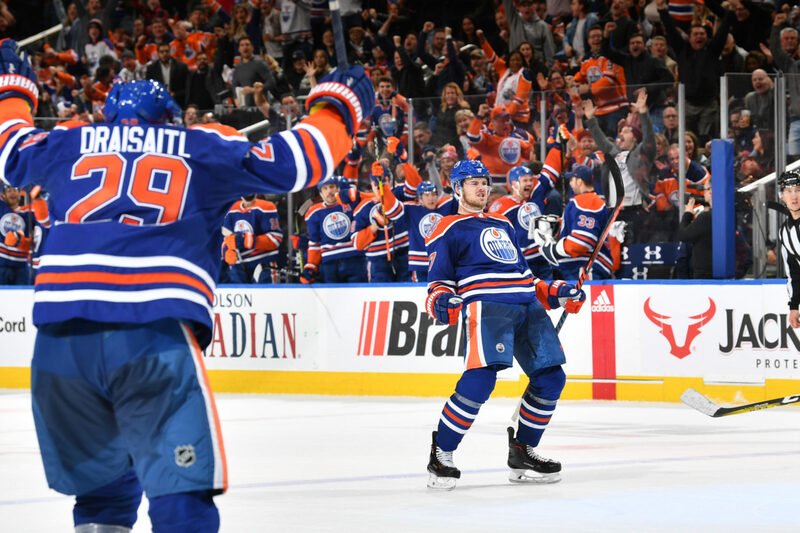 They did, and carried that tie into the late stages of the game amidst two goal reviews that went against L.A. (Both rulings were correct; the first, which was the judgement call on Puljujarvi’s goal, would’ve been awfully difficult to overturn.) Quick had trouble locating the third goal. It was another play set up simply on a power play exchange between Nugent-Hopkins and Klefbom. When the defender unloaded, Quick was moving his head around, searching for it, and ended up being screened by a consortium of Derek Forbort, Jeff Carter and Chiasson on the game-winner. So it goes. Teams count on power plays for big goals, and with the balance of the game hanging in part on Nugent-Hokpins’ hooking call on Kyle Clifford midway through the third period, Los Angeles could barely get the man advantage set up in the offensive zone. There were breakaways, there were high-grade looks, there was a stanchion bounce, there was a go-ahead goal (rightly) called back because the play was off-side. The Kings had every opportunity to win a game Thursday but just couldn’t, as the silly saying goes, bear down. They’re in 31st place; 31st place teams will lose games to other teams in non-playoff positions even when their game is coming around.